Announcement The months of family celebrations are here! 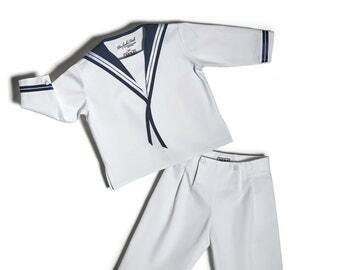 Make all occasions even more special with the original FESCHE FERDL Sailors Suits from Vienna! Make your order now! The months of family celebrations are here! 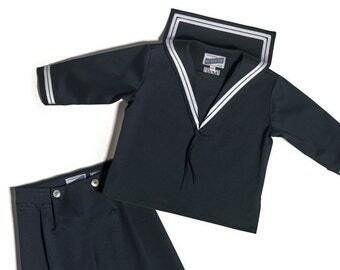 Make all occasions even more special with the original FESCHE FERDL Sailors Suits from Vienna! Make your order now! 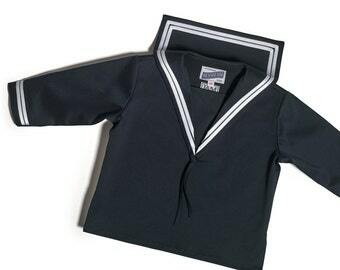 Sailor Collar FERDL v. e. - Collette Matelot "BEAU FREDO"
Fantastic quality and beatifully cut. Completely different league from all the horrible sailor suits out their. This is heirloom quality and should be worn by many generations. Worth every penny. Responsivness, communication and delivery were flawless. A real gem of a shop. Fantastic quality and beatifully cut. Made my daughter the star at her little brothers baptism. This is heirloom quality and should be worn by many generations. Worth every penny. 2013 erreichte uns eine Anfrage der deutschen Vogue nach Matrosenkrägen. Sie waren für ein Fotoshooting von Karl Lagerfeld im Hamburger Hafen. Eine Referenz an seine norddeutsche Jugend! Es war uns eine Ehre. 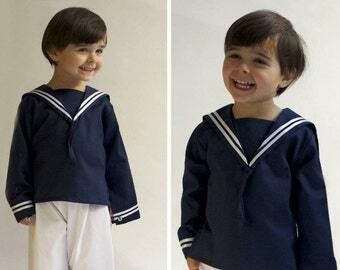 The sailor suit was the favorite play suit for children of the Fin de Siècle. 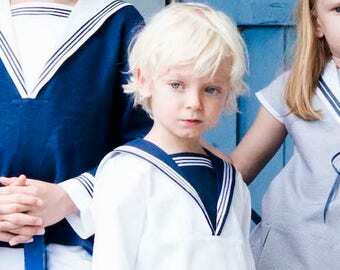 What was once the apparel of choice for royal children, is available to our little ones today. A comfortable, modern yet timeless item of clothing. 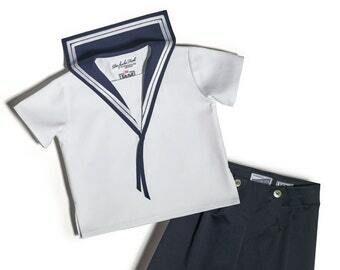 Our little sailor suits are produced in limited editions in our Studio in Vienna, with the production processes refined and the choice of fabrics and products enlarged. 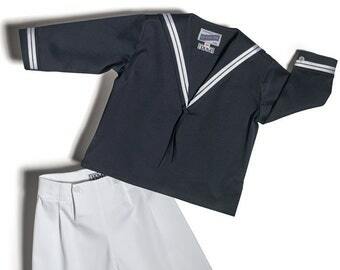 Since 2013 we also offer a fine selection of sailor-style dresses for girls and a baby collection. We are happy to provide families all over the world wit our suits! Johanna Adlaoui Mayerl designs costumes for theater, film and opera since 1999. 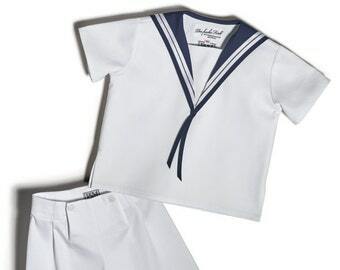 The Sailor Suit collection DER FESCHE FERDL, launched in 2011, is her darling child. Our outfits are made to be fitted so we encourage you to pick the correct size in each case, i.e. the body length of the child in centimetres, unlike choosing a bigger size as it is usually done with children's clothing. For example a baby with 62 cm. would wear size 62/68. For a child with 114 cm. size 116 should be chosen. 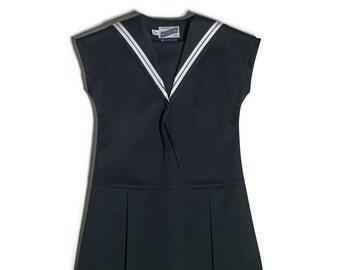 Please note that the Sailor Suits are not elastic due to the fabrics used being woven, but all waists are adjustable. Most items are made to be put on over the head. If you are unsure please contact us and we can provide you with a size chart showing the exact measurements of each size. Our collection contains a variety of colours and fabrics, but if you wish something more special feel free to contact us and we can arrange a special order made at little extra cost to cover the materials that need to be sourced for it. Our Suits are created to be easy to care for. 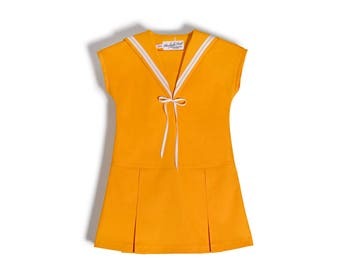 All Sailor Suits come in very charming packaging. If you wish to send a Suit as a present, contact us and we will arrange this, such a gift would be welcome by everyone! If you wish to become a FERDL trader please contact us. 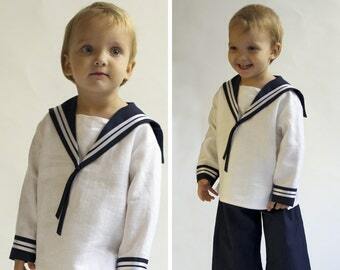 There are always Suits on stock for sailors between the ages of 1 and 5 years old that are ready to be shipped. These can be found at our ETSY prêt-à-porter category. If you wish to have a made-to-order outfit, we take about 10 working days to create these outfits but please note that this time can be up to 3 weeks between March and July.